With the end of 2018, it’s that time we look back on the year that went by and work on our resolutions for the upcoming one. 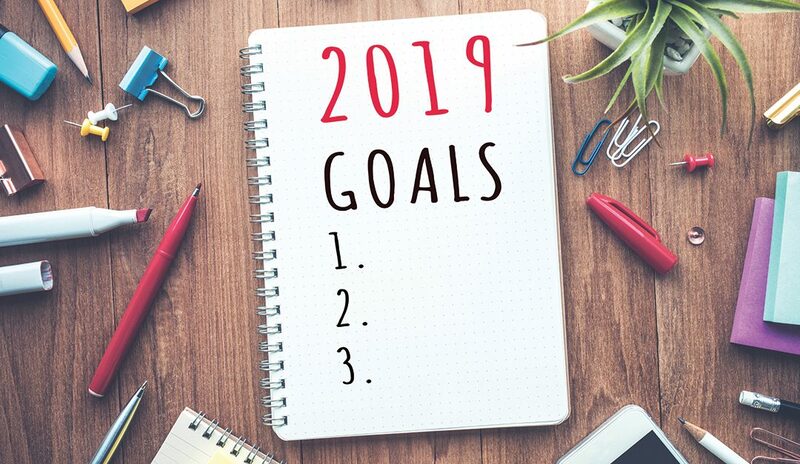 Summary: With the start of 2019, it’s that time of the year when we set our New Year’s resolutions and work our way towards achieving them. But, since every year is different, here are some tips from experts which can help you set and achieve your real estate goals for 2019. Most individuals start the year with the best intentions to achieve the New Year’s resolutions but don’t have any set goals in place. 2018 was a pretty subdued year all around, especially for the real estate market as negative sentiments appeared to have been dominating people’s actions and thoughts. But, since every year is different, you have new opportunities to aim for new things. Whether you’re hoping to sell a family home, buy a condo or downsize to a studio apartment, 2019 can be the year where you set and achieve your real estate goals. Wondering how? Here are some tips that can help you reach all of your real estate goals this year. You probably hear this a lot, but it is, in fact, a good idea to work with a real estate agent. There are many benefits that come from working with one, and it begins with asking why you want to sell or buy. Your main goal is to find an agent who wants to know the answer and digs deeper to find one past the reason on the surface. An experienced real estate agent can help keep you updated with the latest and upcoming market trends to help you make an informed decision. You should look for an agent who will be invested in your future, and not just someone who is thinking solely of selling or buying a property. You need someone who will think about what will happen 5-10 years down the line and understands your current situations and needs. Look for an agent who can explain how they’ll be making the selling and buying process easier for you. Remember there’s a massive difference between an experienced neighbourhood professional and a generalist agent. A specialist will have more knowledge about properties in a particular area as they will have explored the buildings and features the properties have to offer. They will also be able to provide a seamless and stress-free experience so you can go on living your life as it is, till it’s time to sign the papers. Being realistic is vital. It’s a great idea to get a mortgage pre-approved before you begin looking for a condo as this allows you to know what you can and can’t afford. The stakes are much higher in the real estate market. So, if you are thinking of selling at some point in the year, think about the value of staging. Buyers should be able to picture themselves living in the condo. This is why it is important to stage and accessorize the condo, to bring out the space’s best features before putting the property up on the market. However, if you have a condo that doesn’t need to be staged, consider neutralizing to ensure the space is used properly. Staging can help significantly decrease the time your condo sits on the market. Remember that a staged condo can sell faster and fetch a better price than non-staged and vacant ones. When setting your real estate goals, keep an eye on the market before you list your property. Remember, just because you saw an MLS at a certain price, doesn’t mean that the property will sell at the same price. Keeping an eye on the market can allow you to have a more realistic lookout to determine whether or not you can afford what you are looking for. However, if you are planning to wait for the spring market to start looking for condos for sale, it’s better to know exactly what’s going on in the market. This ensures you don’t end up lost in the hysteria of that particular real estate season and end up feeling too overwhelmed. To be successful in the real estate market, you need to be smart in both setting and achieving your goals. These can provide motivation, focus, reduce stress and also help you prioritize your tasks and resources. You may break down your goals into key focus areas and further down to smaller objectives to ensure you accomplish them all.